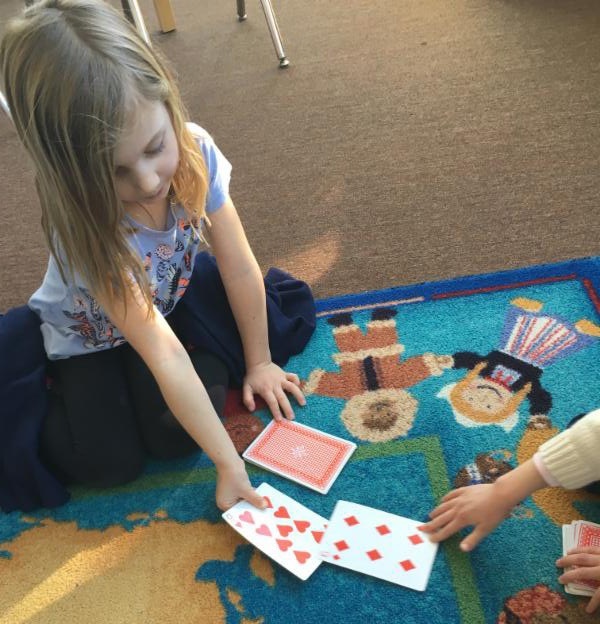 Students in the Kindergarten classroom have been having a great time playing card games with their classmates. Studies show that card games greatly deepen mathematical learning and skills. There are many cognitive benefits to playing card games, which include strategies for using mathematical information, categorizing patterns, sequencing and sorting. Playing with cards can build number confidence, encourages number fluency, improves memory, develops quick thinking skills, encourages number talk, and encourages risk taking.